The Serendipity Trust's Teacher Training provides hundreds of English Language teachers with training and development opportunities each year. We work closely with the Department of Education (Southern Province) to ensure our team of experienced volunteer trainers deliver quality workshops for Primary and Secondary English Teachers from rural and urban Sri Lankan schools. In 2015 our trainers supported training workshops coordinated by the Department of Education (Southern Province). 2-day training sessions were held each week where ST Trainers work alongside In-Service-Advisors from the Zonal Education Offices to deliver training for teachers from 50 schools each week. Training was also delivered to student teachers based at the government run Teacher Training College, Unawatuna. 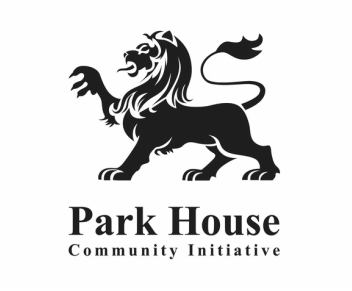 Huge thanks to Park House English School, Doha and the Park House Community Initiative for their financial support of our 2015/2016 Teacher Training Program. In 2014 the Serendipity Trust worked with 350 schools from 7 education zones in the Southern Province including the Akuressa, Morawaka and Elpitiya and Walasmulla Education Zones. These new zones make up part of our new catchment area for the Training Program. These schools were identified by the Southern Provincial Education Department as being in desperate need of training opportunities. Three new workshops were developed for 2015 including Take 1 Picture 2, Every Day English for Primary Students and Stories from Around the World. ‘Take 1 Picture 2’ follows on from the 2013 Workshop. We were lucky to secure the support of artist Sarah Wood who created a poster for the schools based on a busy train station scene. A poster of Sarah’s illustration was supplied to each participating school. During the workshop, the teachers worked through observations, questioning, creative thought and writing, reporting and drama to experience a wide variety of experiences stimulated by a single image. Everyday English for Primary Students inspired teachers with many quick and easy spoken activities which they can introduce to their young students. The workshop encouraged confidence and an enjoyment of the English language. Many Sri Lankan students do not have the opportunity to practice spoken English at home and therefore their school classes are the one place they should be able to be confident to speak freely and with joy. The Traditional Stories from Around the World Workshops provided with an abundance of simplified traditional stories from all over the globe. The workshop supported teachers to explore the huge range of activities that can be used in their classrooms. A program of work in one week sections to provide comprehensive support for daily English conversation. An opportunity to make and keep a story sack for use in the classroom to promote spoken, creative and writing skills. A very active workshop with a variety of games and songs to use. 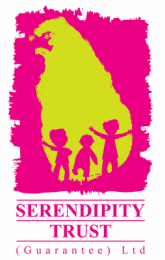 The Serendipity Trust was delighted to partner with the Sunday Times to hold the Newspapers in the Classroom Workshop for teachers from the Southern Province on Saturday 31st May 2014 as part of our Galle Children's Festival program. 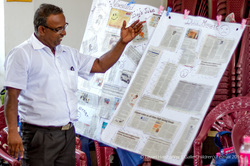 This workshop encouraged the habit of reading and also encouraged teachers to consider using the newspaper as a resource for teaching in the classroom. This workshop was presented by the Sunday Times Newspaper in Association with the World Association of Newspapers and News Publishers (WAN IFRA). The workshops was facilitated by Dr. Gerard van der Wiejden, a Belgian expert on young reader initiatives who is also a consultant for the World Association of Newspapers and News Publishers (WAN IFRA).